Our Erie PA ice dam removal service can stop roof leaks fast! Usually within one hour of your call! 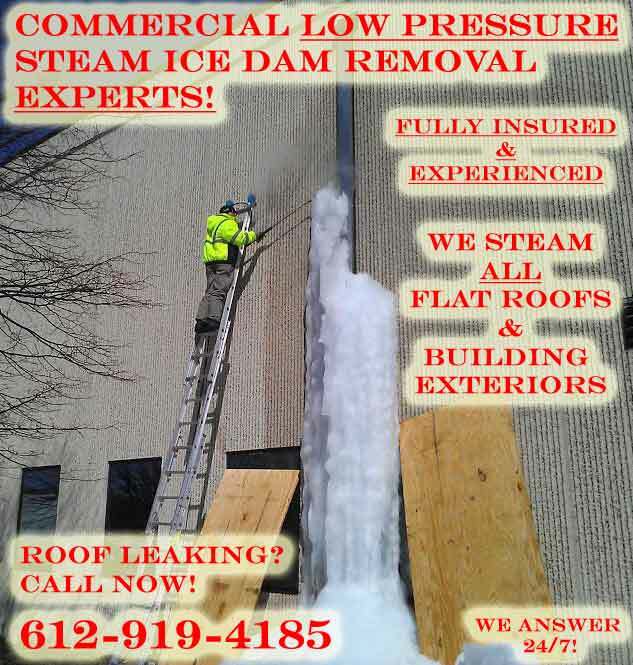 If you need ice dam removal please give us a call ASAP at 612-919-4185. We use low pressure steam equipment that will not damage roofing materials like a pressure washer will. We take care of our customers properties as if they were our own! Call or text 612-919-4185 or contact us. Need to clean a dirty roof in MN but are unsure of the best process? Look no further! Our Minneapolis MN soft wash roof cleaning service is low pressure and will not damage your roof, guaranteed! Our Minneapolis MN soft wash roof cleaning service is guaranteed to clean your black or green roof or your money back! 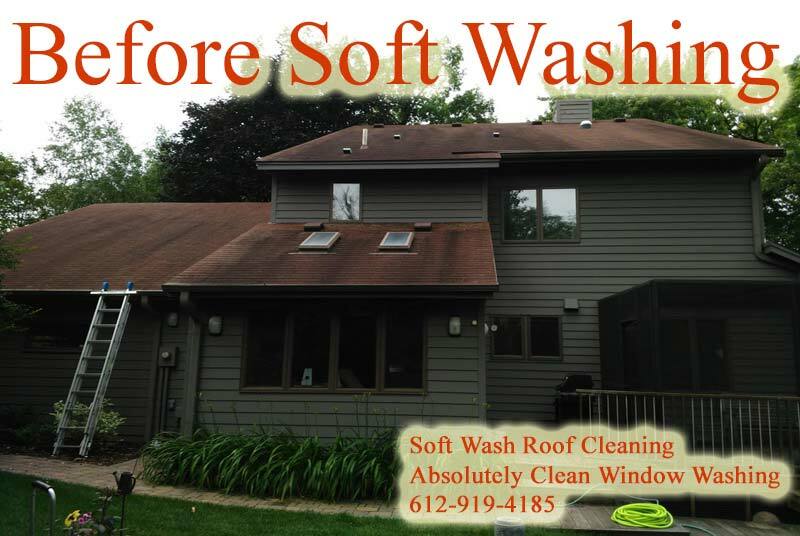 We offer our soft wash MN roof cleaning service to the “Twin Cities” of Minneapolis & St. Paul and also to the entire state of MN! Our soft wash roof cleaning equipment is the the most advanced equipment on the market to date. Our equipment can be dialed in on-site to meet your specific cleaning needs. We never pre-mix our solutions, which means our cleaning agents are always fresh and ready! Our solutions will never be to “hot” or diluted. 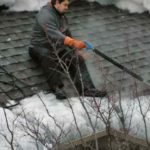 Please be aware that not all roof cleaning companies use the “soft wash” technique. Some companies use high power pressure washers which could easily damage your roof. We almost never need to get up on a roof to clean it. Most often times we can mist our solution on the roof from the ground or from atop a ladder. Be aware of the “shampoo” method as most often times this method will employ a flat surface cleaner (pressure washer for cleaning sidewalks etc) to be dragged up and down your roof over and over again. Roof cleaning with the soft washing method is what all roofing manufacturers agree to be the safest and best way to clean a roof without doing damage. High psi water pressure methods such as the shampoo method will likely void all warranties on your roof and cause premature roof failure. If your city is not listed here please feel free to contact us. We travel far outside of the Minneapolis area to clean roofs in MN, We even travel to other states such as Wisconsin and Michigan for soft wash roof cleaning. 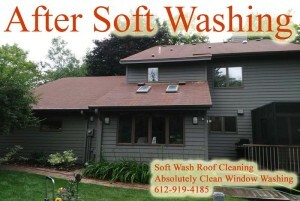 Give us a call today to schedule our Minneapolis MN soft wash roof cleaning service at 612-919-4185. 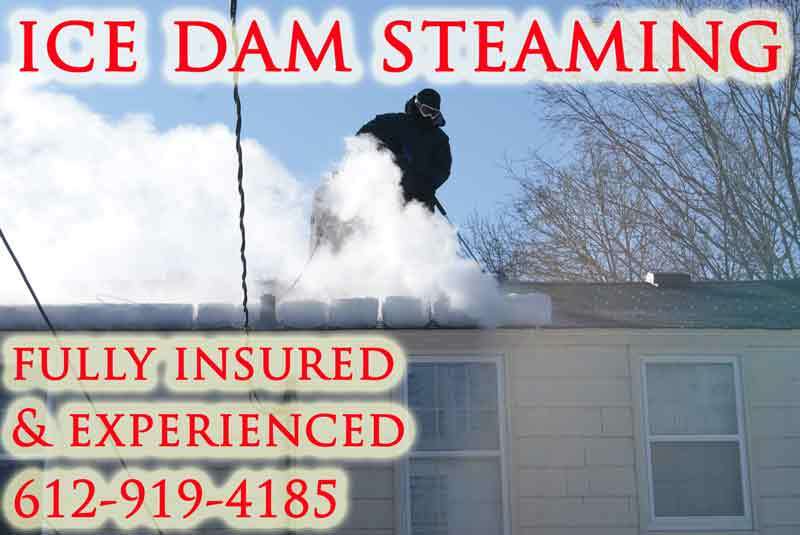 We are now offering Northern Michigan our steaming services for ice dam removal Marquette MI and surrounding areas. Do you have a roof leak or dangers because of an ice dam? Then you need our service for ice dam removal Marquette MI. 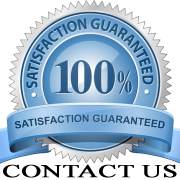 Give us a call or text 24/7 at 612-919-4185 or simply contact us here now. We stop roof leaks fast! 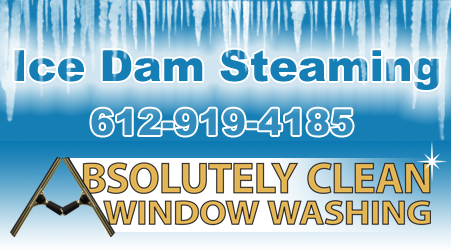 We can usually steam your ice dams the same or next day. 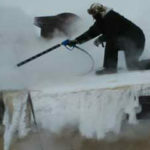 We use high temperature low pressure steam equipment for ice dam removal in Marquette MI. We do not use hammers! 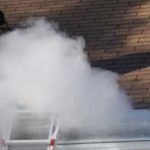 Steam is the safest and only way to remove ice dams from a roof with zero roof damage. 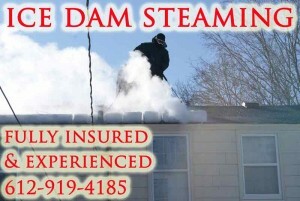 We are fully insured for residential and commercial ice dam steaming and roof snow removal and we can prove it! 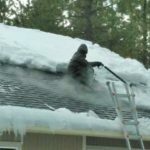 If you simply need roof snow removal and not ice dam steaming please still give us a call. We can help fast! 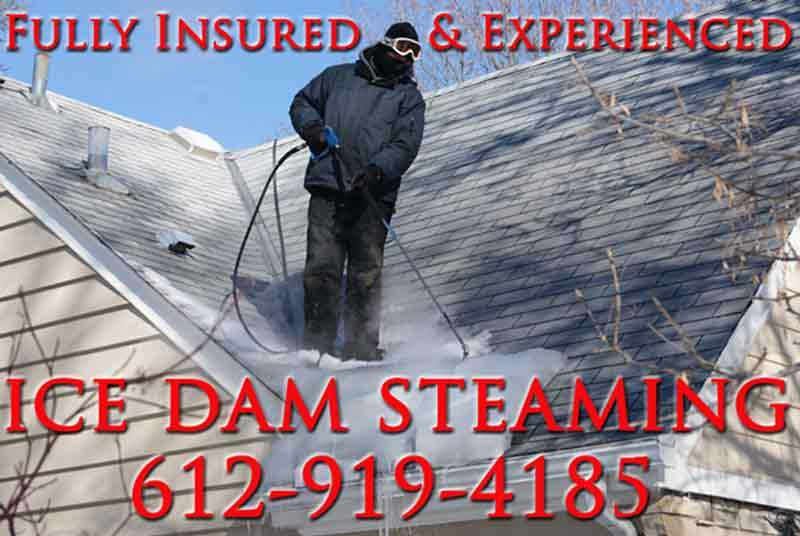 We offer Mankato MN steam ice dam removal services for residential and commercial roofs. 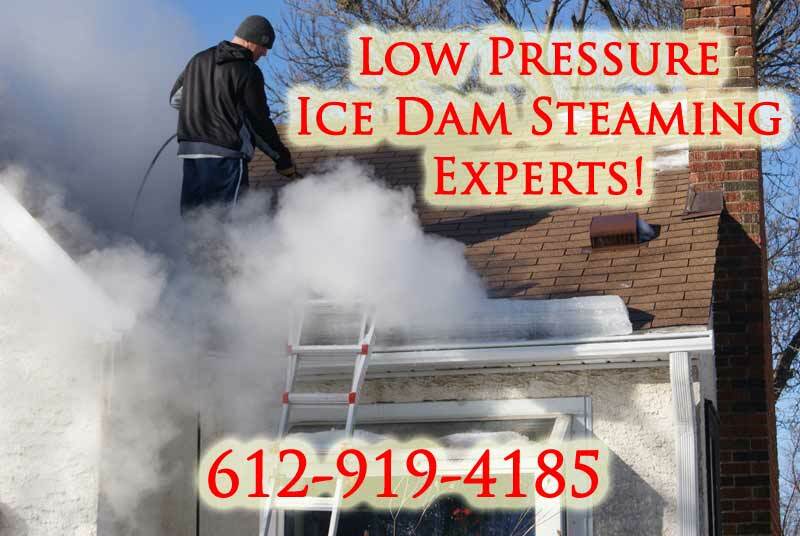 We can steam any roof in Mankato with our low pressure steam equipment without doing damage to the roof, guaranteed! 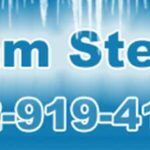 Do you need ice dam removal Chicago IL? 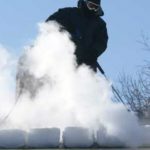 If you have ice dams and snow on your Chicago roof and or water leaking inside your building than you need our low pressure steam ice dam removal Chicago IL. Call us now @ 612-919-4185. We use low pressure ice dam steaming equipment in Chicago IL and have years of ice dam steaming experience. Contact Us Now. We do NOT use pressure washers on roofs and we’d advise you to avoid anyone that does like the plague! Learn how to identify the right ice dam removal equipment here. Roofs are VERY expensive to replace so hiring the right Chicago IL ice dam removal company is very important! Many roofs are damaged every year because of amateurs. If you would rather learn more from videos about low pressure steam ice dam removal Chicago IL, we have more You Tube videos about ice dam removal than any other company in the United States! Watch Us Steam Here! 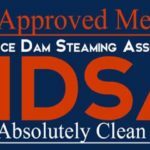 We are Chicago IL steam ice dam removal experts! 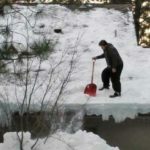 Our NH ice dam removal service is very important to people in New Hampshire who have water leaking into their building! Do you have ice dams and have a roof leak? Please Contact Us Here Now for Our NH Ice Dam Removal Services. We use special low pressure ice dam steamers designed specifically for steaming ice dams. We do not use pressure washers on roofs and we would recommend avoiding any company who does! 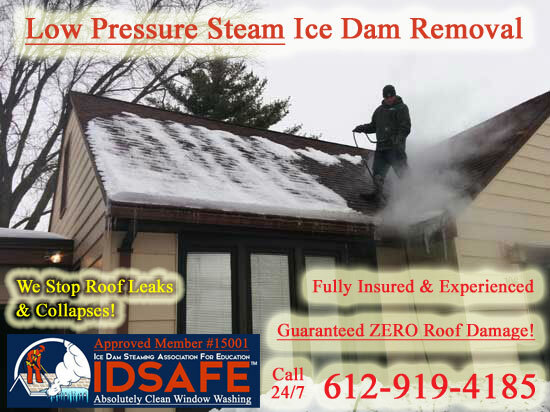 Please call us to learn more about our NH ice dam removal services @ 612-919-4185. Do you have water leaking in your building or ice and snow on your roof? Then you need our service for ice dam removal Buffalo NY. EMERGENCY? CONTACT US HERE! Call or text: 612-919-4185.